Gathering 180+ R&D employees, Jinyoung established a professional R&D system to keep up with the latest technologies and innovations in the field of advanced materials. The R&D of Jinyoung is formed by several specialized divisions. Jinyoung assigns specific R&D teams on the development, industrialization, and promotion of the products. Besides, Jinyoung collaborates with the top research institutes and research universities to integrate the latest innovations in the field of polymer industry. Jinyoung also values the cultivation of the talents in the field of polymer research, for which Jinyoung formed a special team to cultivate talent with the leading scientist collaboratively. Research Institute focuses on advanced polymer materials R&D and application. Collaborated with top research institutes and universities in China, Research Instituteis devoting to find an expressway between academic research and industrial production. Gathering top scientists, Jinyoung assembled a leading R&D team to keep up with the cutting-edge trends, integrate state-of-art technologies, develop and industrialize promising products. Equipped with the state-of-art research facilities covering each step of product industrialization, Technology Center is expertise in the industrialization of new products. At present, quite a few innovative products were already in the mass production stage, such as flame retardant nylon, high thermal conductivity nylon, high electrical conductivity nylon, strong, pearl color 3D printing filaments, low-temperature 3D printing filaments, better toughness retention 3D printing filaments. Assembling technological elites from various industries,Engineering Research Center is specialized in providing the state-of-art polymer material solutions to the customer from every industry. Promoting the performance and reducing the cost, Engineering Research Center can always find the optimal material solution for the customers. Collaborated with Chinese Academy of Science (CAS), Jinyoung established Jinyoung Accreditation Laboratory. Lead byDr. JIAN,Xigao, member of CAS, the Accreditation Laboratory is promoting the integration of research and industry, scientific innovation, and talents cultivation. By 2017, Jingyoung gathered 12 leading scientists to form a committee to predict the pathway of tomorrow polymer industry and screen the innovations that may change the future life of people. Referring to the wise, Jinyoung is devoting to stay cutting-edge in the field of advanced polymer materials. 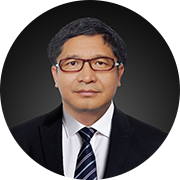 Chinese Academy of Engineering academician,professor of the Dalian University of Technology. Professor of College of Materials Science and Engineering of Beijing University of Chemical Technology. 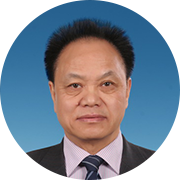 Dean of College of polymer science and engineering of Sichuan University. 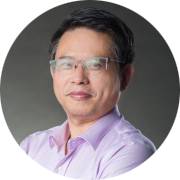 Professor of Tsinghua University, Ph.D. supervisor. Director of Polymer Research Institute of Tsinghua University. 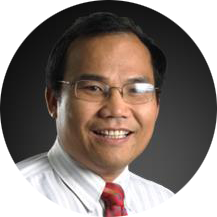 Distinguished Professor of Xiamen University, Ph.D. supervisor, Vice Dean of the College of materials. Dean of Fuqing Branch Of Fujian Normal University, Ph.D. supervisor. Professor of College of life science and technology of Beijing University of Chemical Technology, Ph.D. supervisor. Research Associate of Seate Key Laboratory Of Polymer Physics And Chemistry, Ph.D. supervisor. 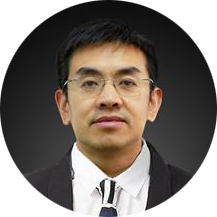 A tenured professorat Peking University, Ph.D. supervisor, Vice Dean of Engineering. Vice-chairperson of the expert committee of the China Plastics Processing Association. Assistant Dean of Ningbo Institute of Industrial Technology, Chinese Academy of Sciences, Research Associate, Ph.D. supervisor.